“$30 to Antarctica” – If someone mentions Antarctica, what is the first word that comes to mind? Cold, perhaps? These days, it unfortunately could be melting as well. Even though many of us have seen pictures or video of the world’s most southern continent, actually experiencing this mysterious locale in person might conjure different words such as unexpected and inspiring. 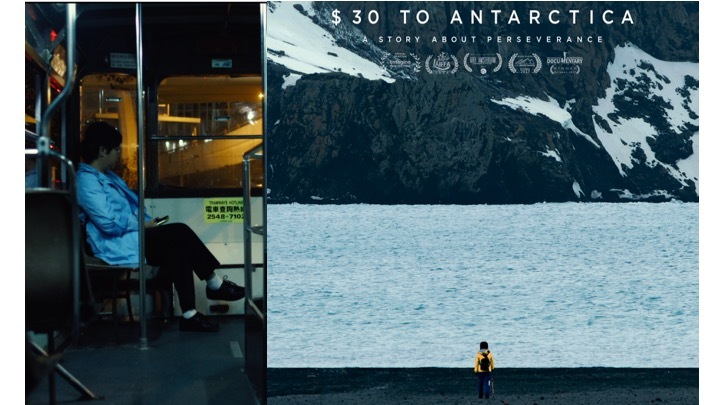 Writer/director Joey Chu’s documentary short “$30 to Antarctica” – featured at the 2018 Phoenix Film Festival – is also unexpected and inspiring. As the doc unfolds, we realize that only a couple minutes of the 17-minute runtime were filmed in Antarctica. “Antarctica is a place I’ve always wanted to go,” Dr. Ka Foon Chau (a kidney specialist living in Hong Kong) says, as she sits in front of her computer. This film, however, is not so much how Dr. Chau travels to Antarctica. Instead she, her friends and family revisit her personal, inspiring journey towards becoming a doctor. Soft spoken, but also determined and resolute, Dr. Chau reflects on societal and monetary pressures attempting to curtail her education. Like many girls growing up at the time, she was encouraged to pursue literature instead of science or stop attending school altogether. Through effective uses of still photographs, animation and revealing interviews, Chu clearly lays out the said roadblocks blocking Dr. Chau’s path towards her dreams. Simultaneously, Chu delivers messages of determination and simple kindness that also include surprises and a special revelation. “$30 to Antarctica” certainly connects, and after watching it, Dr. Chau could be the first words that appear in your mind after Antarctica arises during your next conversation. For information about the film and the director please go to: http://www.30toAntarctica.com and http://www.JoeyChu.com, respectively.